These lightweight, double-bridge aviators from Burberry are a contemporary take on the aviator shape for eyewear this summer. Featuring Burberry’s signature check print on the arms and made in Italy, these sunglasses are guaranteed to impress even the snobbiest of sunglasses snobs. Available now through Nordstrom. 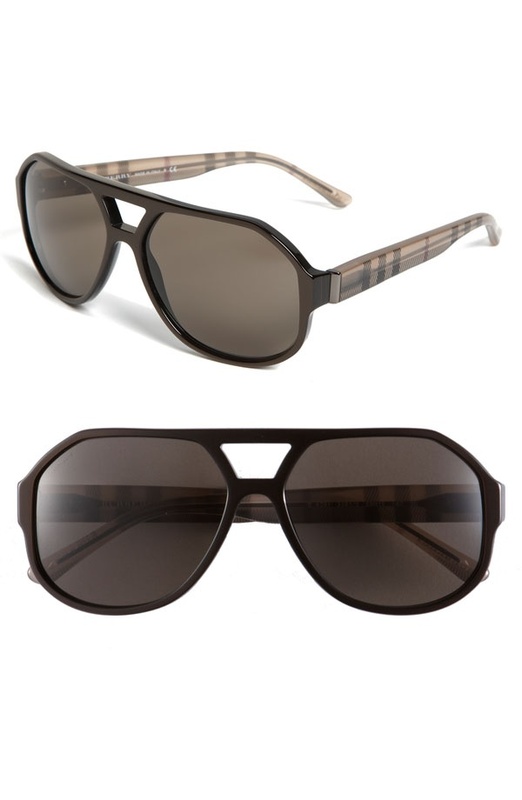 This entry was posted in Sunglasses and tagged Featuring Burberry, Italy. Bookmark the permalink.